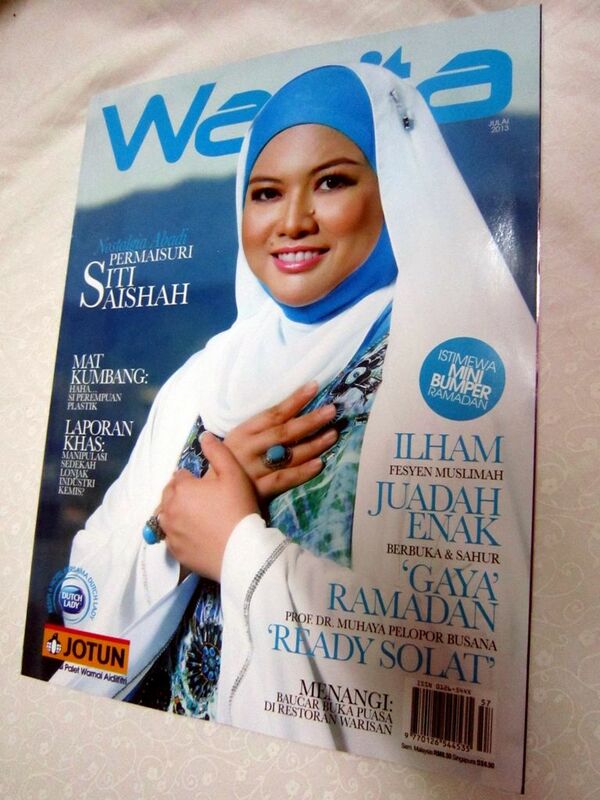 I've just been featured in the July issue of WANITA magazine Ramadhan Mini Bumper Edition 2 months after the feature in May Issue of Nona Magazine Mother's Day Edition. Thank you for the interview and for featuring me WANITA Magazine :) Scroll down for more photos. They focused the interview on my career as a practising lawyer, my family, my lifestyle and my Ramadhan and Eid al-Fitr experiences. They inserted my most memorable experience of Ramadhan last year when I just came back from my life-changing experience being my first Umrah trip (read True Love and I am Home) and the joy I experienced to be able to fast the full 30 days as I was pregnant with my late daughter at that time. My most memorable Ramadhan as of yet. God is great. All praises to the Almighty and the Ultimate Giver. Nothing is mine and everything comes from the Creator. Alhamdulillah.